Designed to satisfy a wide range of users from demanding home gardeners requiring a tool for frequent use, to farmers and professional contractors. 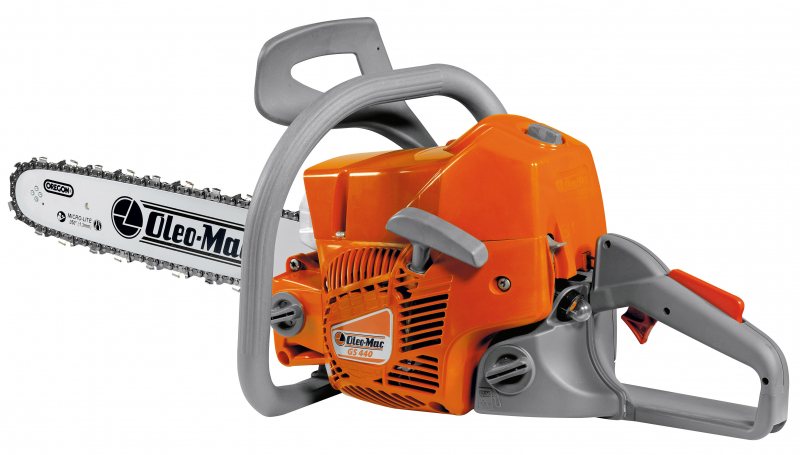 It's compactness, versatility and good power-to-weight ratio ensure excellent cutting performance for any use, from limbing and pruning to cutting medium sized trunks. Illustrated step-by-step start up instructions on the machine body ensure quick and safe starting even for less expert users. Piston with 2 elastic rings, forged and machined steel shaft and connecting rod, needle bearings, nickel-plated cylinder: constant level of efficiency over time, even in tough operating conditions. Digital coil with electronic control: variable ignition advance allows for a reduction of the rate at which fuel is burned, making the machine easier to start. Adjustable aluminium oiler facilitates the task of the operator by allowing variation of the oil feed to suit the workload on the machine and the bar/chain combination. Zero oil flow with the engine at idling speed ensures lower consumption and reduced impact on the environment. On/off switch, choke and half throttle control incorporated into a single multi function lever guaranteeing practical and simple operation. Lateral chain tensioner simplifies tensioning adjustments while avoiding any risk of contact with the chain. Available in burn right version, which complies with euro 2 emission standards.